How do the wine fanatics taste wine? We all at one point in our lives try to be sophisticated and learn how to taste wine. But is it more scientific than you may have first thought? Ideal Wine Company has learnt of the proper way to taste wine, and here’s how you can start practising. Gordon Shepherd, a professor of neuroscience at Yale University, claims in his new book (Neuroenology: How The Brain Creates The Taste of Wine) that our sensory response to food and wine combine to create what we think if as flavour in things that don’t directly possess it. He says, “the molecules in wine don’t have taste or flavour, but when they stimulate our brains, the brain creates flavour the same way it creates colour”. The brain creates colour by responding to the effects produced when light hits the object we see, however they are actually colourless. There are two movements that activate the brain when creating the flavour perception of wine; the movement of wine through the mouth and the movement of air through the nose and throat. However, the most important aspect isn’t from our sense of smell when we sniff the wine like we believe, but from the molecules released in our mouth when we breathe out. Shephard says, “nosing a wine requires exquisite control of one of the biggest muscles in the body”, as well as swirling the wine in your mouth engages the intricate muscles that control the tongue as well as stimulating thousands of taste and smell receptors. He told The Times that “swallowing a wine is vital for obtaining the most information possible about the quality of a wine”. 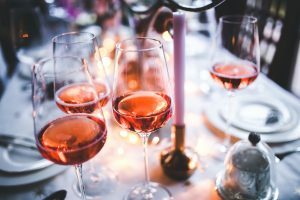 His research found that after just a few sips of wine, the brain gets saturated with information which makes it hard to process the flavour of the wine being drunk. Look – a visual inspection of the wine under neutral lighting. Smell – identify aromas through orthonasal olfaction (breathing through your nose). Taste – assess both the taste structure (sour, bitter, sweet) and flavours derived from retronasal olfaction (breathing with the back of your nose). Think/conclude – develop a complete profile of a wine that can be stored in your long-term memory. If you’re still unsure of how exactly to taste wine, check out our blog on how to act when wine tasting here. Introducing the drip-free wine bottle!